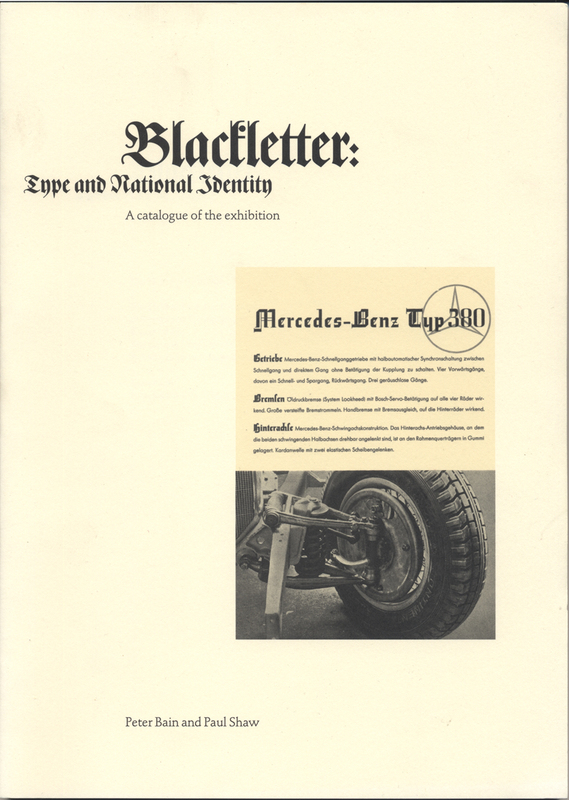 Blackletter: Type and National Identity (the catalogue) front cover (1999). Design by Peter Bain and Paul Shaw. Printed by the Stinehour Press.